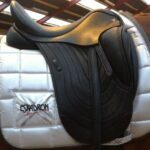 The Lucinda McAlpine ReactorPanel Dressage Saddle was been designed for International Dressage rider Lucinda McAlpine around 2003 and has been used by her ever since. 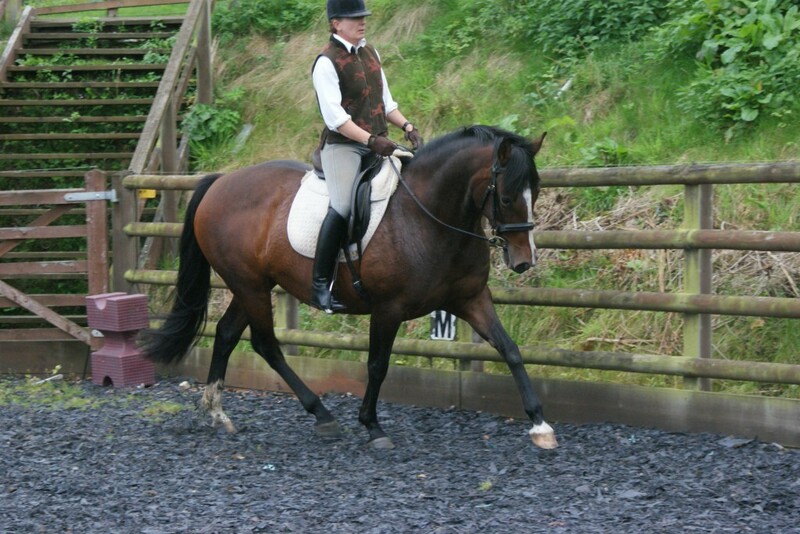 As the stirrup bars are placed further back than any of our other dressage saddles helps the rider to find a classical position, the soft and flexible but hard wearing Memel leather used for the saddle flaps giving a comfortable close contact feel. The knee blocks are contoured to fit the knee and adjustable to fine tune the fit to each riders individual needs. The close contact ride experienced when riding on a ReactorPanel® saddle is enhanced by this combination of leather, allowing a really close feel with you leg able to really get around the horse. Although ReactorPanel saddles are highly adjustable and our standard width tree will fit a very large percentage of horses,the tree still needs to be the correct width, Hence Very Narrow Horses or Very Wide horses may Need a special width tree.Also we do not recommend the saddles for small ponies without a consultation. We are happy to advise you either on email or over the phone and will usually requires photographs. 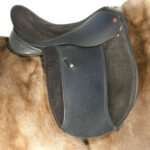 Please see out information page Placing an Order or Booking a Saddle Fit for more information. 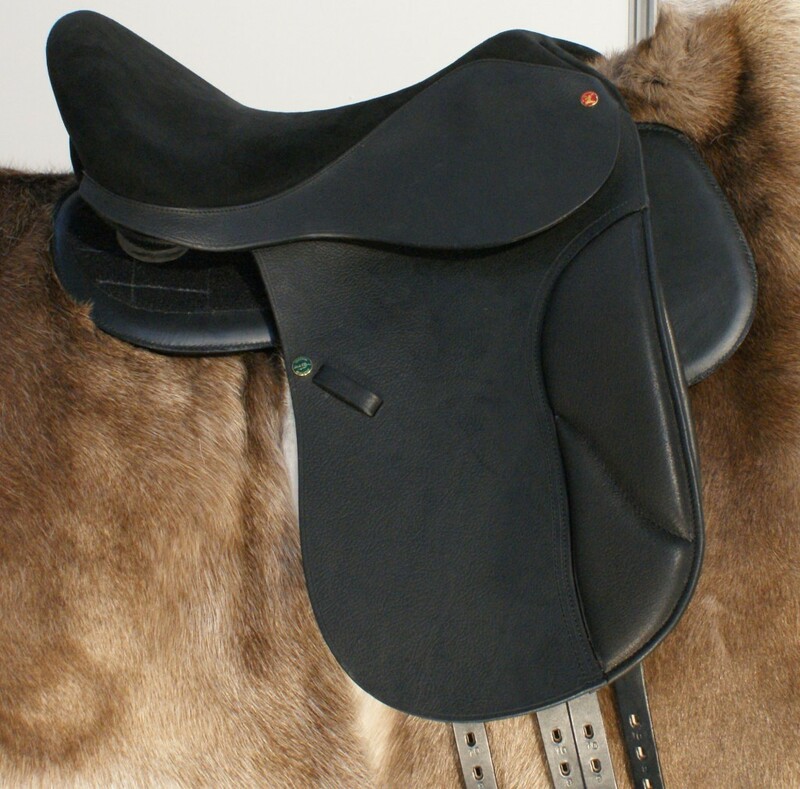 The Lucinda McAlpine ReactorPanel® Dressage saddle can come in a number of seat sizes, 17″, 17½”, 18″, available in Black or as a special custom order in Rich Dark Brown.